A petition calling on Twitter to block a new Samaritans app designed to tell users which of the people they follow might be feeling low has attracted 750 signatures from people concerned that the app breaches the Data Protection Act. The petition was created on the petitions site Change.org by Adrian Short, an information policy activist, who wants Twitter to stop the suicide prevention charity’s software from accessing Twitter users’ data. 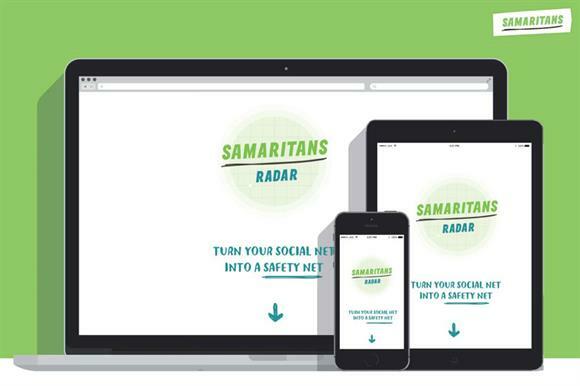 Samaritans Radar was launched last week as a free web application designed to allow users to monitor their friends’ tweets, alerting them if it spots anyone who might be struggling to cope. But Short’s petition says that the app breaches the Data Protection Act. It links to a blog by Jon Baines, chair of the National Association of Data Protection and Freedom of Information Officers but writing in a personal capacity, who argues that the app contravenes schedule 3 of the 1998 legislation because it does not have the explicit consent of Twitter users who might be monitored. "Samaritans Radar breaches people’s privacy by collecting, processing and sharing sensitive information about their emotional and mental health status," says the petition. "Samaritans has no legitimate purpose to collect this information, let alone to share it with other unknown and untrusted people without the subject’s knowledge or consent." Created by the digital agency Jam using Twitter’s application programming interface, Samaritans Radar uses a special algorithm that looks for specific keywords and phrases within a tweet. It then sends an email alert to the user with a link to the tweet it has detected, and offers guidance on the best way of reaching out and providing support. In his blog, Baines contests the charity’s reassurance on its website that "all the data used in the app is public, so user privacy is not an issue". He says it is more worrying that an app in the Samaritans name can identify certain tweets as concerning than it is for any Twitter user to do a search of another person’s tweets. Another blog, by the intellectual property lawyer Susan Hall, says that anyone worried by Samaritans Radar could try to serve notice in accordance with section 12 of the Data Protection Act. She says: "Given that there seems to be no geographical restriction on who can sign up to the app, how Samaritans is managing to comply with its obligations under the eighth data protection principle about not transferring data outside the European economic area is wholly unclear." Samaritans responded last Thursday to some of the criticism by allowing any Twitter user to opt out of the service by adding their details to its white list function. In a further update on its website on Sunday, the charity said the app had undergone an impact assessment against data protection and data processing principles before it was launched. More than 4,000 people had signed up to Samaritans Radar and almost 20,000 had mentioned the app on Twitter, the charity said. A spokeswoman for the charity said in a statement: "We believe in the app and the fact that the true benefit of talking through your problems is achieved only when someone who cares is listening. We strongly believe people who have signed up to Samaritans Radar do want to be able to help their friends who might be struggling to cope. "We will continue to take on board any feedback we receive as we develop the app further and are looking into the concerns raised by some Twitter users regarding possible data protection and privacy issues relating to the app in order to respond. This includes working with the relevant regulatory authorities." - This article was amended on 5 November to make it clear that Jon Baines' blog was written in a personal capacity. The blog is hosted on a website which makes this disclaimer but the blog entry itself does not.